On January 24th, 2015 there will be a edithaton on articles related to fashion, promoted by Europeana in collaboration with the Museum del Traje, DIMAD and Wikimedia Spain. New voices are going to be created about the major figures in the world of fashion, fashion designers in Spain, Madrid Fashion Week/Pasarela Cibeles, clothing architectures (petticoats, farthingales, mob caps...) and Spanish traditional costumes. CER.ES: Red Digital de Colecciones de museos de España. All rights reserved. If you wish to participate in person, you must register in advance for there is a limited number of available seats; you should also bring your own laptop and have previously created an account in Wikipedia Spanish. Publishers who wish to join virtually are welcomed, a pre-registration however is requested in order to complete the event statistics. The event hashtag on social networks is #fashioneditathon. A certificate of attendance who provides personal data will be also given. In an effort to improve knowledge of fashion online, Europeana Fashion is organizing a series of editathones with Wikimedia volunteers and fashion institutions across Europe. Fashion history is undoubtedly a significant cultural contribution, since if someone wants to learn about that, they will probably first stop in Wikipedia. 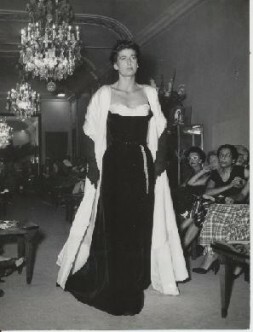 Fashion is usually underrepresented on encyclopedias and this may lead to misleading informations, but improving the knowledge on fashion, Europeana Fashion aims not only to collect and digitalize hundreds of thousands of fashion items, but also to increase the amount of contents on the web and make them more visible. In Wikipedia: Editatón you can find more general information about Wikimedia Edithatons. 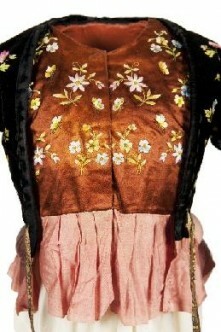 For more informations about this Fashion Edithaton visit Wikipedia's Fashion Edithaton page or Museo del Traje.